However, sometimes it is time to start thinking to let go the reins of our own business. We did great, we brought the business to this level. We deserve a rest, we deserve to retire and keep on watching how our business will grow without us. Are we ready for this crucial decision-making moment? Emotionally, succession planning is our worst enemy but practically it could be our best friend, should we want to see our business flourish without our involvement. A research (source unknown) says that only 54% of Boards of Directors were grooming a specific successor and 39% had no viable internal candidates who could immediately replace the CEO if the need arose. On average one over two businesses have either no or poor succession planning practice. We’d better make sure that our business is not part of the statistics. Succession planning is about classifying business-critical roles that if remained vacant for a long period could impact the business’ performance. 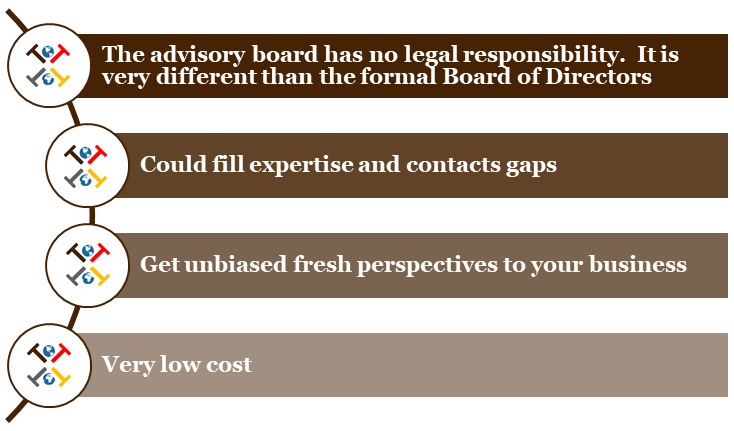 According to the BDC, a good practice is to have an informal Advisory Board to support the decision makers. Many families could be very hesitant be to acknowledge the need for transition planning and on sharing the outcome of such planning with the right stakeholders. If the succession planning exercise is done properly, we will provide high chances for our business to remain sustainable well beyond the leadership transition. Family business doesn’t come without its own particular challenges. This definitely doesn’t make it easier for the entrepreneurs we are, however there are ways to mitigate and reduce the risks significantly. * Financial returns: What is the value of the company? Should we look at the Balance Sheet or at the Earning Capitalization Model? * Time for the next generation: Not all businesses succeed at passing the flame to the next generation. On average around 35% of family owned businesses succeed. * Disputes within the family: My interest is different than yours. It could arise from a simple dispute, a divorce, voting rights of non-executive members, death. * Inheritance and Estate complexity: First thing that comes to mind is Tax! A big weight on our shoulders! To avoid such complications, planning would become a crucial component of the business. The earlier the better! 3- Write a succession plan: the best way time to do it, is when there is no conflict yet. 4- Define a handover plan: Let it be clear with timelines, action items, financing options etc. 5- Business and Estate Planning: Get advice from a professional tax adviser. Have a business adviser on your side to help you build the strategy going forward.